Everyone will go on a bad date at some point in their life and depending on how it went you might not know how to deal with it and move on. It helps to have a sense of humor because laughing off a bad date will help you shake off the low mood it put you in and you’ll be ready to try again soon. laughing is a good way when you’re home alone and look at the date from start to finish while imagining it happening to someone else. Instead of focusing on the emotional aspect of it pay attention to the absurdity of it. Sure things could have gone better but they could also have gone worse and in the grand scheme of things it’s not a big deal. There are two people involved on a date so not everything wrong is necessarily the other person’s fault. Think about what went wrong and the role you played in it. Be honest and accept responsibility for anything that you did wrong. This will stop you from making the same mistake twice and increase the chances of your next date going smoother. Sometimes people don’t click and it’s nobody fault. Don’t take things personally if your date seemed a bit distant or isn’t what you were expecting. They probably know that date didn’t go well either and tried to make things work before it ended. You’re not going to hit it off with everyone and having a bad date will happen now and again so all you can do is accept it. 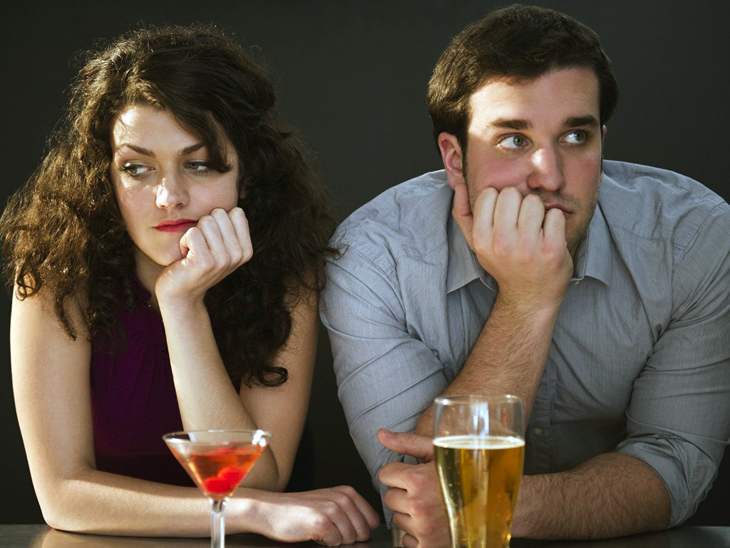 When a date goes wrong it’s either a clash of personalities or an event that happened. If you feel an attraction to the person and what went wrong was an event then consider seeing them again. The second date might go better because you know each other and have already dealt with an awkward situation so you might be more relaxed because the worst has already happened. Forget all about your bad date by spending a night with your friends and having fun. You could even laugh with them about what happened because they won’t take it as seriously as you which will help you realize that it’s not a big deal. This could also help boost your mood and make you think about dating again instead of avoiding it. Try to find the positive in a bad situation because this will give you at least one good memory of the night. It could be a small thing like a good conversation, a nice meal or how great things were before things went wrong. There must be something you can smile about so find it and use it as a bright spot to focus on because this will stop you from getting completely upset. It’s natural to want to stop dating for awhile after a bad experience because you’re upset or embarrassed and you’re afraid the next date will be worse. You need to get over that fear and the only way to do that is jump right back into the dating game. Find someone else you like and ask them out before you get too nervous and keep telling yourself that this date will go better.